By Dan Ambrose: Mikkel Kessler (44-2, 33 KO’s) has been made the mandatory challenger for WBO super middleweight champion Roberto Stiegltiz (40-2, 23 KO’s) by the World Boxing Organization yesterday, thus paving the way for Kessler to face Stieglitz next to try and capture an easy title. Kessler, of course, has the option of facing Stieglitz or a much tougher fight against IBF super middleweight champion Lucian Bute (29-0, 23 KO’s) for his belt. Bute is ready to fight Kessler right now. No doubt that Bute would like to face Kessler while the Dane is still rusty from having fought only once in the past year. Bute’s management already made an offer to Kessler for a fight, but it looks as if Kessler is going to decline that offer and go for the much safer route against Stieglitz to win an easy belt. However, you can expect to see Kessler to be facing Bute at some point in the near future unless Bute is knocked off by someone. That’s not likely to happen anytime soon with the 31-year-old Bute facing largely soft opposition each time out. Bute has yet to face a serious threat to him in the entire four years that he’s held the IBF belt. He’ll be facing Jean Paul Mendy on July 9th in what looks to be another easy defense for Bute against an over-matched foe. Kessler looked great last weekend in stopping Mehdi Bouadla in the 6th round in Denmark. 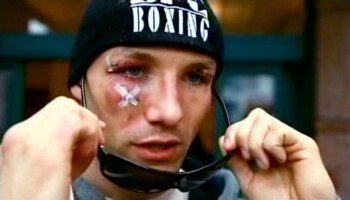 It was the first fight for Kessler since he pulled out of the Super Six tournament with an eye injury. His last fight before leaving the tourney, Kessler defeated Carl Froch by a 12 round decision in an impressive performance. Kessler really doesn’t need Bute that badly, as if he can win the IBF belt, Kessler has a number of interesting opponents he can face such as a rematch with Froch, and guys like Kelly Pavlik, and Andre Dirrell. The Bute fight might be better off happening a little later rather than immediately. If Kessler can get some nice wins over some of the big names in the division then a fight with Bute could be a lot bigger. Of course, Bute could help himself too by taking on a better class of fighter instead of the obscure guys that he’s been facing for the past four years.